Good neighbor relationships are especially important when it comes time to sell your home. While the most obvious concern for sellers is the overall condition of their own homes, the appearance of neighboring properties matters, too. Your home might be the best on the block, but if your neighbor's property is an eyesore, your curb appeal is automatically diminished. This is where the relationship part comes into play. Despite the desire to sell your home in the future, you should work to build strong relationships with your neighbors. Living next door to one another means that you will be doing a solid portion of life together and you never know when you might need each other. Many issues can occur during a sales process involving easements, fence repairs or retaining walls. You will want the cooperation of your neighbors as you work to address these important issues. Good relationships with neighbors will help ease the final steps of the selling process. If the listing of your property is imminent, inform the neighbors! Let them know if you need help and give them time to mentally prepare for your departure and the arrival of new neighbors. Many homeowners do not realize how their departure can change the dynamic of a neighborhood. It is important to diminish shock value for neighbors who will continue to reside on the street which you intend to vacate. Perhaps your neighbor's lawn is in desperate need of attention. Asking a neighbor to perform such maintenance can be offensive, however offering to pay for the maintenance can ease the blow. The poor condition of a neighboring lawn might be due to an inability to finance improvements. Be sensitive to your neighbor's possible circumstances and expect to finance any improvements to enhance curb appeal. In addition, be prepared for resistance as not everyone will appreciate such an offer. 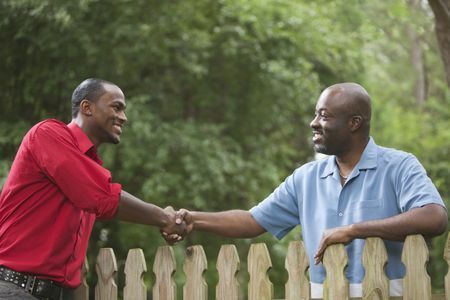 Make sure to allow time for negotiations with your neighbors in order to ease into a mutually beneficial agreement. Related: "4 Factors for a Quick Sale"
"8 Tips to Sell Like a Boss"